It’s natural that as we come to terms with our parents growing older, we begin to think about our own aging. Unfortunately, it might take negative experiences to motivate us. The experiences of people we care about often deeply affect us. It’s natural that as we come to terms with our parents aging, we begin to really think about our own aging process. Unfortunately, sometimes it takes the negative experiences of working through the issues we outlined in the first article in this series, Aging parents, aging us: How to prepare for the next stage in life, to motivate us to take action in the planning of our own long-term care and end-of-life affairs. The first step is to simulate the type of conversations you held with your parents and have that same conversation with yourself. What are the possibilities and expectations you have for your own old age? Consider your vision for how you wish to age and how you want to address your end-of-life issues before you execute any actions in your estate plan or insurance coverages. If you have a partner, you should work through your own wishes independently, then schedule time to have a conversation together. We suggest women outline their personal wishes first to ensure they maintain some say in these very important personal decisions. We find that working with aging parents also tends to bring to the forefront of your planning the discussion of long-term care insurance for yourself and your spouse or partner. The question of when to start planning is a common one. Whether you decide to pay for any potential long-term care needs from your retirement savings or to purchase long-term care insurance, you should start the process when you’re in your 50s. The older you are, the greater risk you run of not having enough time to save or of becoming uninsurable. Do I have enough to self-insure? How do I analyze that possibility? What level of care should I be planning for? In home, assisted living, nursing home? Would I seek care in my current area or in another part of the country? Am I insurable and what is my likely insurance rating? These considerations are important because recent statistics published by AARP in their Long-Term Support and Services Fact Sheet indicate that 52 percent of people who turn 65 today will develop some form of severe disability requiring long-term care support. And the average lifetime cost of long-term care in retirement tops $250,000. That figure derives from the fact that many retirement communities charge annual fees in excess of $100,000, with Alzheimer’s care running even higher. Cost of care varies by state and level of services provided, in addition to the level of demand for a particular facility. Because women live longer and have higher rates of disability than men, they are even more likely to need assistance in their home or another form of long-term care. Has your net worth grown substantially enough to require a more sophisticated plan? If you’ve specifically named relatives (i.e., nieces or nephews), have there been any new additions to the family? Are there beneficiaries you may want to protect if they were to get divorced? Are there special needs to be addressed in your legacy plan? Are the charitable gifts to organizations still reflective of the causes you wish to support? If you don’t yet have an estate plan, getting one should be a top priority. Even if you’re not Prince or Amy Winehouse, both notoriously dying with wealth yet no will, this should be a high priority in your planning. Most financial advisers or estate planning attorneys are experienced at working with clients to understand their wishes and then creating a plan that reflects them. There is some preparation you’ll need to do before executing a plan. First, you’ll need to articulate your total level of wealth, so having a net worth statement will come in handy. A list of intended heirs and charitable organization names is also useful, as is a divorce decree if you’ve ever been divorced. If you have minor children, you’ll need to specify potential guardians who would act in your absence and determine whether those same individuals will manage money for your children or whether that duty should fall to someone else. We can’t say this enough: Review your beneficiaries annually or when something in your life changes, such as getting a divorce or having another child or grandchild. 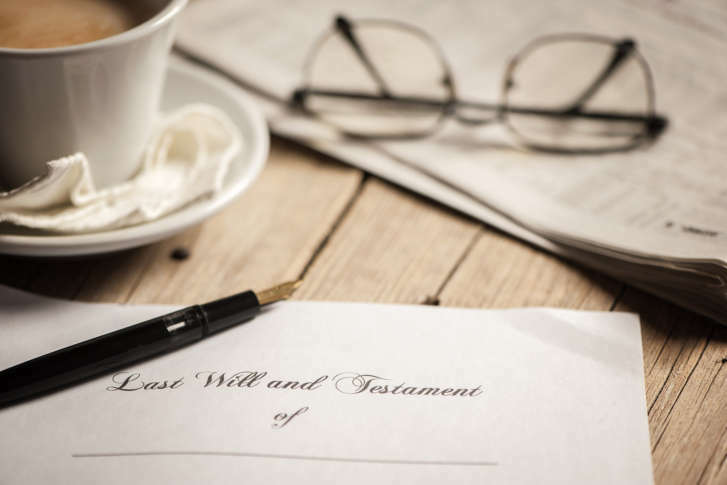 Particularly in the case of death or divorce, making sure these designations reflect current wishes is critical, as this is what ultimately directs the inheritance of retirement accounts and insurance policies at your time of death. Planning for aging requires careful consideration of many aspects of your financial plan. We encourage investors of all ages to consider how their retirement lifestyle and legacy plans could be disrupted by a long-term care need. Prudent planning and establishing a safety net through savings or risk sharing through insurance can help ease the difficult transition into old age and the health crises that often arise in the later stages of life. Being prepared also may alleviate the fear many women bring with them into old age so they can be more confident in the financial security of their senior years.